Breathing is a necessity for all living creatures so, you think we would know how breath correctly under any circumstance. Wrong, we don’t. To be fair we are not taught how to breathe; we just do. It is our innate blessing. Now here is the issue, in the mist of doing something strenous we forget to breathe. In the process we stop oxygen from getting to the vital organs, blood , and muscles need to keep us going. 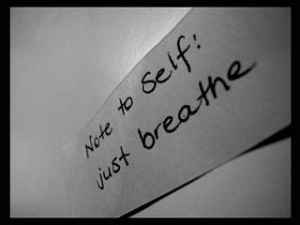 In those moements we create stress that could be easily alleviated if just breathed to begin with. So, I found a video that gives you the best technique on how to breathe while cycling. Pay close a attention, this can mak the difference on how hard you work out.